If you are in Bangalore this weekend, please visit Venkatappa Art Gallery, Kasturba Road, Bangalore which exhibits three of my selected photos along with 40+ talented photographers. There are 100+ photos being showcased in this exhibition organized by Focus Bangalore. Some of the photos would be put up for sale at an affordable price too. 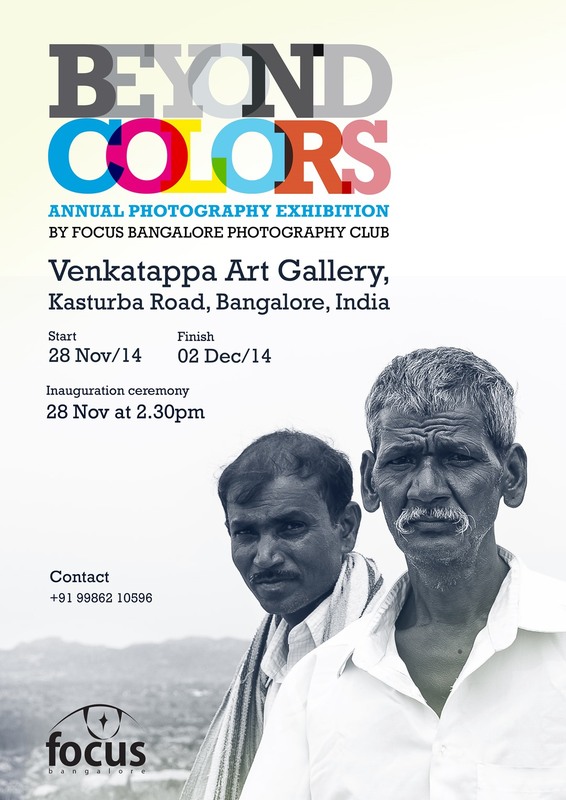 This is the third exhibition organized by Focus Bangalore photography club. The previously held exhibitions, Breathing City in 2012 and Blurred Boundaries in 2013 was a huge success. Entry is free. Timings from the second day onwards are 11 am to 6pm. The location map is given below.